Do you have bulging junk drawers, kitchen cabinets or closets? Is your garage so full of stuff you park in the driveway? Or your spare room, living room or basement full of packed boxes and you don't even remember what's in them? Got a closest full of clothes, a 100 pair of shoes and still continue to shop? Or perhaps your mind is so cluttered that you feel overwhelmed? Maybe you've heard about the positive effects of simplifying and minimalism and need a kickstart? Or you're ready to take it to the next level? The more you have, the more you are occupied. The less you have, the more free you are. I offer guidance through your clutter until you can hear your own heart speak. We're not going to just chat about it. We're going to do it! I will come to your house or office and together we’ll de-clutter your space which will also quieten your mind. We’ll do two, four or six hours and we’re going to laugh and have fun while we do it. Yes, laugh and have fun! I guarantee it. I adore simple living and find de-cluttering easy and fun. Yes, really! The journey towards simplicity can be life-altering yet the process can also be really, really fun! Can’t imagine that? Let me share my guidance to start you on your own path. I'll still be beside you every step of the way except via Skype... and yes, we'll still have fun! We'll connect online for a two hour session where you'll prop up your laptop of webcam near where you are working and together we'll de-clutter. How cool is that? $99 for two hours + applicable taxes. ​one must simplify the mechanics of ordinary, everyday life. My de-cluttering guidance fee is $120 for two hours, $195 for up to four hours or $295 for up to six hours. But I’m going to play with something here. I believe wholeheartedly that simplicity is a strong component of living life according to your heart. And by following your heart, the world receives the gift of your best self. So at this moment, it feels right to offer my guidance for your first appointment, up to two hours, by donation. Yes, really. At the end of your first session, donate the amount you feel is right for you and based on the value that you receive. No minimums, no limits. Truly. Freedom starts here. Freedom starts with de-cluttering your environment, and your mind. If you are ready, you can start right now and feel this freedom too. There is absolutely no reason not to connect with me today. You are worthy. Say yes. ​so as to accept the life that is waiting for us. Oh, wait, are you worried that I’ll make you throw or give away all your beloved stuff? I won’t. 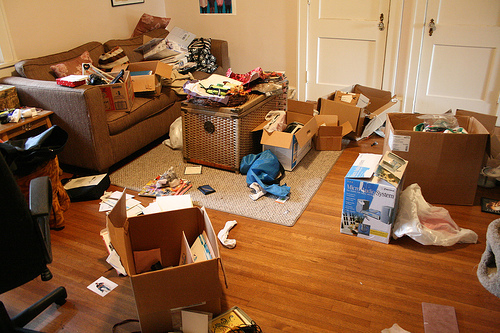 I don't do the de-cluttering for you, I’m there to guide you in your process. De-cluttering is not about living out of a backpack (unless you want to). It is about identifying and making space -- physical and mental -- for what you value and clearing away the excess. As your de-cluttering guide, I'll ask the hard questions and provide the gentle push to guide you to your answers.How much guidance you accept and therefore move forward in a session is up to you. Oh, wait, are you embarrassed about showing me all your stuff? Or worried that you’ll get anxious, stressed, angry or cry in front of me? That’s okay, many people do, you’re not alone. I felt all that too. It’s part of letting go. As your de-cluttering guide, I promise to honour your stories, respect your privacy and together we’ll laugh and have fun. Really. Think of the freedom. The peace. Isn't it lovely? PS. Hey, still thinking about it? That's okay, give me a call when you are ready or if you have questions, please call or email michellesevignywriter@gmail.com.